Any word or name.. to claim your property. A perfect gift for your child, grandchild or friend in the office who has a “thing” about people using their mug! Why not fill with mini-eggs for a super personalised gift this Easter. 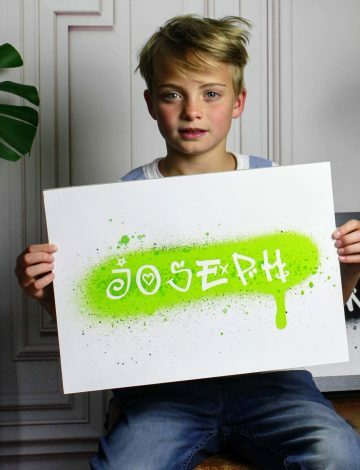 Can be personalised with any name or word in our exclusive graffiti font. Choice of print colours available. If you require more than 5 of this item please contact Cookie stephc@loveincltd.co.uk to get a super discount! !